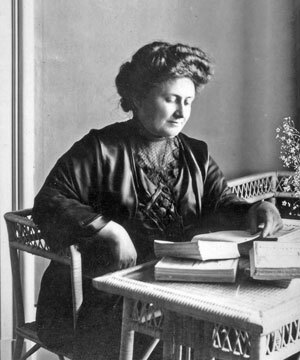 The Italian Maria Montessori was an educator, medical and pedagogue. She devoted herself to study and research the human education, believing that through it would be possible to think and to define key issues of life. She has been known for developing an educational method used worldwide, which highlights the balance importance between discipline and freedom, making it impossible to conquer one without the other. She is considered by modern pedagogues one of the great innovators of pedagogy “child-centered”. The basis of the Montessori educational system is that the children have the ability to know themselves using the environment and didactic material as support and not only the teachers. Based on this it sets up the six educational pillars: Self-education; Education as Science; Cosmic Education; Prepared Environment; Prepared Adult; Balanced Child. Auto Education: Is the ability that the children have to explore on their own the world around them. Education as Science: Check the efficiency of the work done on a daily basis through the scientific method of observation, hypotheses, and theories in order to understand how to teach each child better. Cosmic Education: Each person must be aware that is responsible for maintaining and improving the world. Takes knowledge in an organized manner and stimulates the child’s imagination. Environment Prepared: Furniture and appropriately sized materials make the children use it when wanted. Prepared Adult: They have to guide the child in its evolution and must have the knowledge about kid’s development. Balanced Child: Encourage their natural progress in order to develop the love for the silence, work and organized things.